A fast-moving wildfire that has ravaged the town of Paradise has grown to 70,000 acres and is only five percent contained. 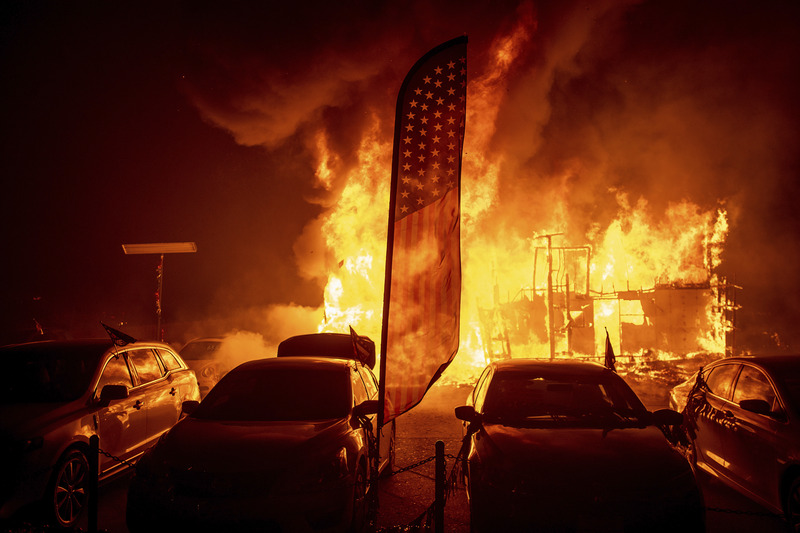 On Friday morning, The Butte County Sheriff's Office confirmed that five people have been found dead in vehicles torched by flames. The victims were found in the same area in the town of Paradise. 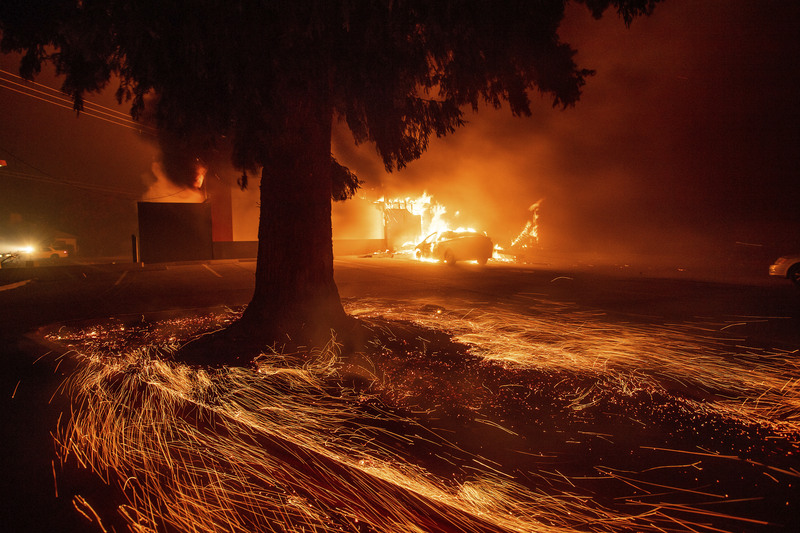 After the fire broke out, many abandoned their cars on the side of the road, running from the flames on foot. Cars and trucks, some with trailers attached, were left on the roadside as evacuees ran for their lives, said Bass, the police officer. "They were abandoned because traffic was so bad, backed up for hours." 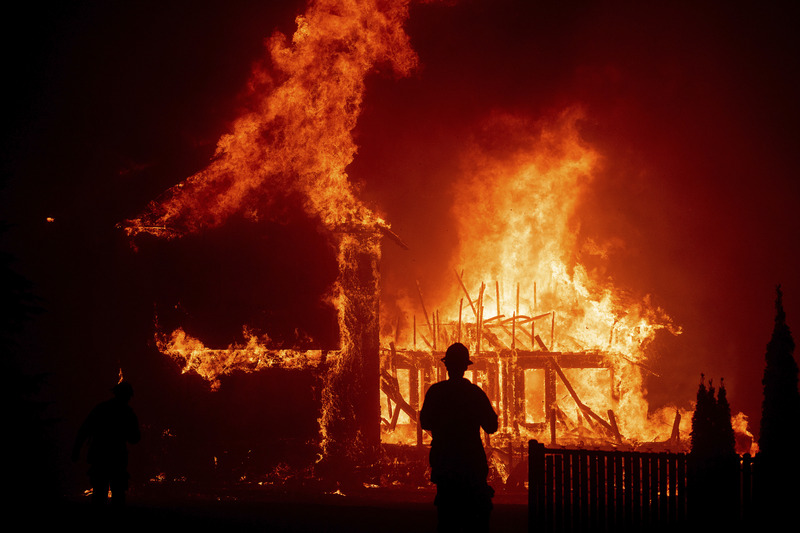 Thousands have evacuated from the massive blaze that has destroyed a couple of thousand structures. 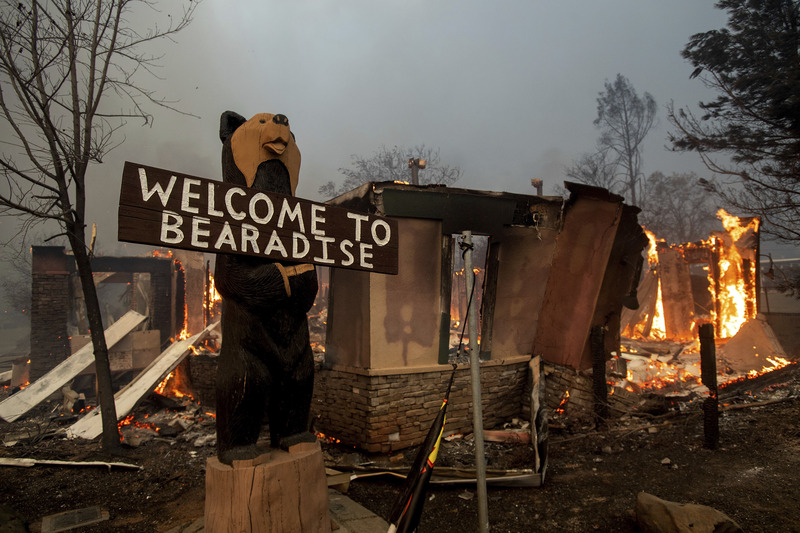 "Pretty much the community of Paradise is destroyed, it's that kind of devastation," said Cal Fire Capt. Scott McLean late Thursday. He estimated that a couple of thousand structures were destroyed in the town about 180 miles northeast of San Francisco. "Most of them were immobile with walkers, or spouses that were bed-ridden, so we were trying to get additional units to come and try and help us, just taking as many as we could," he said, describing the community as having "a lot of elderly, a lot of immobile people, some low-income with no vehicles.